Velikost predogleda: 800 × 504 točk. Druge ločljivosti: 320 × 202 točk | 640 × 403 točk | 1.024 × 645 točk | 1.280 × 807 točk | 2.790 × 1.758 točk. 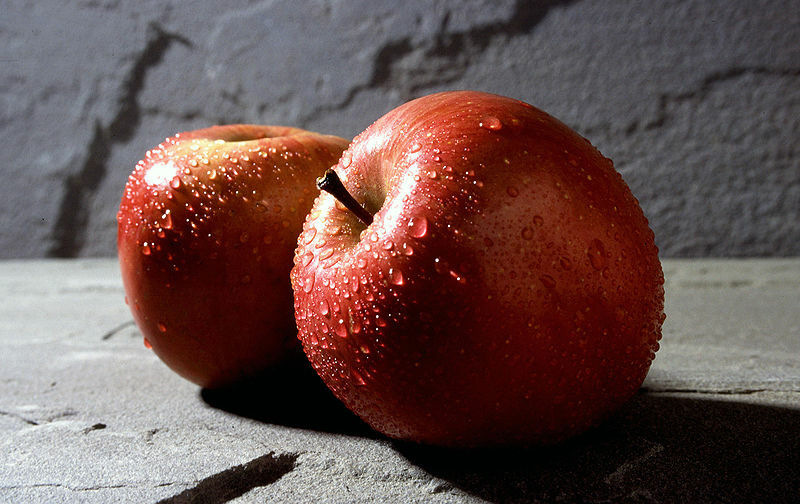 English: Two Fuji apples. In 1992, Washington apple growers harvested about 805,000 boxes of Fujis. Three years later, production had quadrupled to 3.5 million boxes. Français : Deux pommes Fuji. En 1992, les producteurs de pommes de Washington ont récolé 805.000 boîtes de Fujis. Trois ans plus tard, la production avait quadruplé à 3.5 millions de boîtes. This image was released by the Agricultural Research Service, the research agency of the United States Department of Agriculture, with the ID K7602-2 (next).